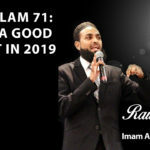 On this episode of the Raw Islam Podcast with Imam Azhar – a 2017 Podcast Award nominated podcast – with all that is going on in the world today, how do we be good parents to our children? On this #DamnItCarl podcast B.C. Dodge says – I have a dirty little secret… and here it is. When B.C. was 18 he started smoking – and smoking is dirty! 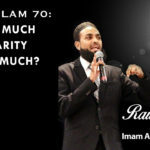 Raw Islam 70: How Much Charity is To Much? On this episode of the Raw Islam Podcast with Imam Azhar – a 2017Podcast Award nominated podcast – the Imam address giving charity and the importance of it, and how it can help not only those around you, but help take care of you too. On this #DamnItCarl podcast B.C. Dodge asks– can you be a solopreneur without that hustle gene? #DamnItCarl Podcast 22: Is it a Hobby or a New Career? On this #DamnItCarl podcast B.C. Dodge asks – what do you do when you love your hobby more than your job? On this #DamnItCarl podcast B.C. 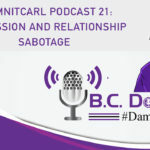 Dodge asks – why do we sabotage our relationships when we have a bout of depression?